Start Licensing’s Ian Downes on how Foyles has got its licensing mix just right. I often find myself working from home on a Monday. A benefit of this is that I get to listen to Robert Elms on Radio London. He hosts an eclectic show which is very engaging. On a Monday a central part of the show is his Listed Londoner feature. He invites guests in who represent all walks of life in London from the arts through to local politics. They are asked a list of questions about their London life which provokes a convivial chat with Robert. One question is your favourite London view. As a Waterloo boy it is interesting to hear how many people choose the view down or up the river from Waterloo Bridge. It is a great view either way. One other question is around shopping in London and your favourite shop. I always think through my answers to the questions and when it comes to my favourite shop I have a few contenders, but my current favourite is the Foyles shop in Charing Cross Road. Foyles the bookseller started life in Charing Cross Road, I believe, with the original store a few hundred yards down the road from the current location. Back in the old days buying a book in Foyles was a novel experience. You used to choose your book, hand it into a person in a kiosk, get a chitty for it and then pay at a till walking back to claim your book once it was paid for. At least I think that was the system. Contactless is a lot easier. The current shop is located in the old St Martin’s Art College building and as such has a grand feel to it. 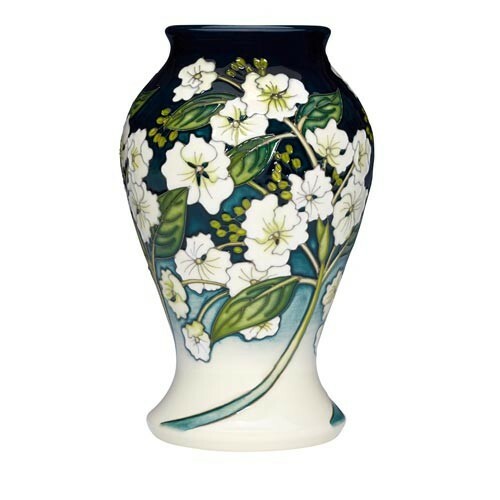 It is a shop that feels traditional but with a contemporary vibe. It is set out over a number of floors and has a bustling café on the top floor. It represents a blueprint for a modern bookshop and bookselling I think. Naturally books are at the core of the offer, but rather cannily Foyles now has a wider range of products that are well selected and curated to be sold alongside books. Within this licensed products and licensing play a significant part without being a dominant force in-store. 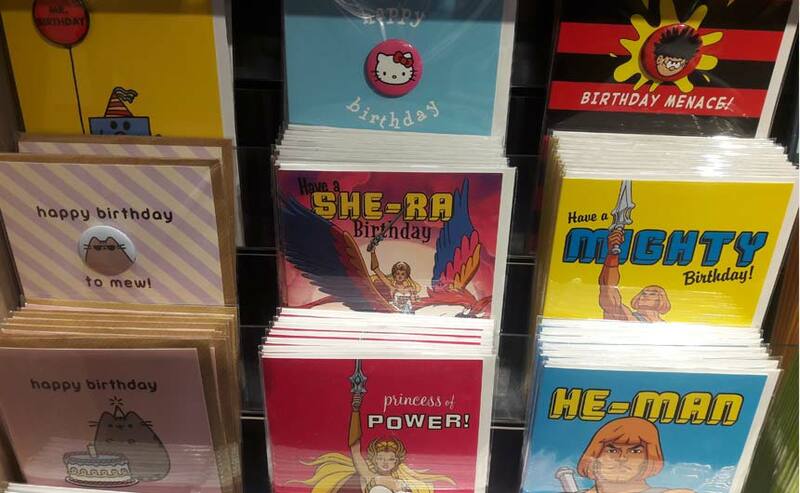 One area of diversity is that Foyles stocks a good range of greetings cards. Specialist licensed card supplier Hype has a great presence with its cards grouped together well, with the displays making the most of the badges cards Hype sells as part of the range. Hype selects licences that have a broad appeal and are generally evergreen brands. It also uses a fair amount of publishing-based properties which makes it a natural for Foyles. Featured brands and characters included Dennis the Menance from Beano and pop culture properties such as He-Man. 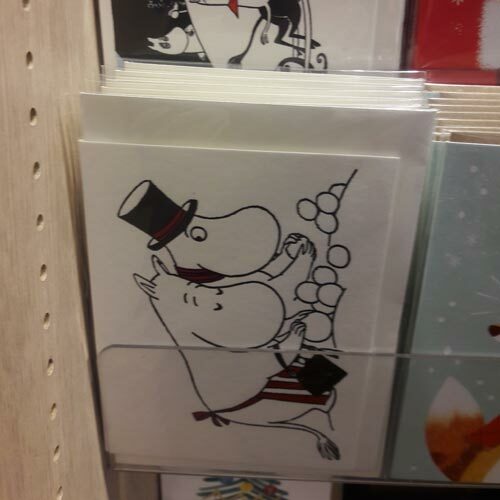 Foyles also features cards such as Moomins with some lovely cards featuring illustrations of the characters sourced from a Finnish company I believe. There is a strong offering of cards using art and heritage brands. One prominent example was a range of V&A cards. Calendars are also part of the Foyles’ offer with calendars in spinners on the ground floor and others available throughout the store, often sold alongside and with specific ranges. A lot of the calendars have art or literary themes – a prime example being a calendar featuring material from The Bodleian Library. Calendars are a category that allow a range of licensed brands the opportunity to build a retail presence. Calendars make great gifts and can be finely targeted in distribution terms. Plush toys are also a strong feature of Foyles’ merchandise offering with a dedicated space and display for plush sites near the children’s books. Featured characters include Paddington, Moomins, Zog and The Gruffalo. 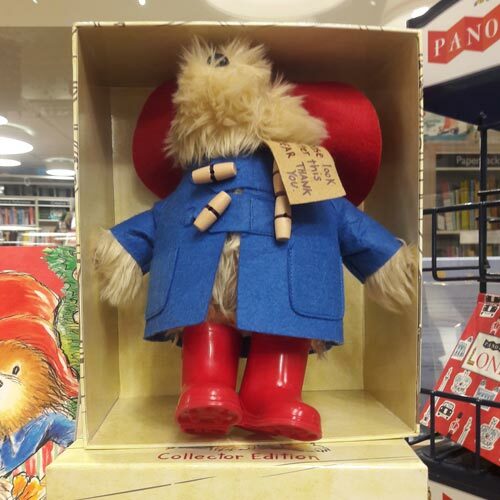 A highlight was a Paddington plush sold in a gift box as a special edition. It was prominently displayed, but Paddington looked a little bit bashful and maybe in need of a reviving marmalade sandwich. Plush also featured heavily in the eye-catching Christmas themed windows. Foyles makes the most of the large street facing windows they have. 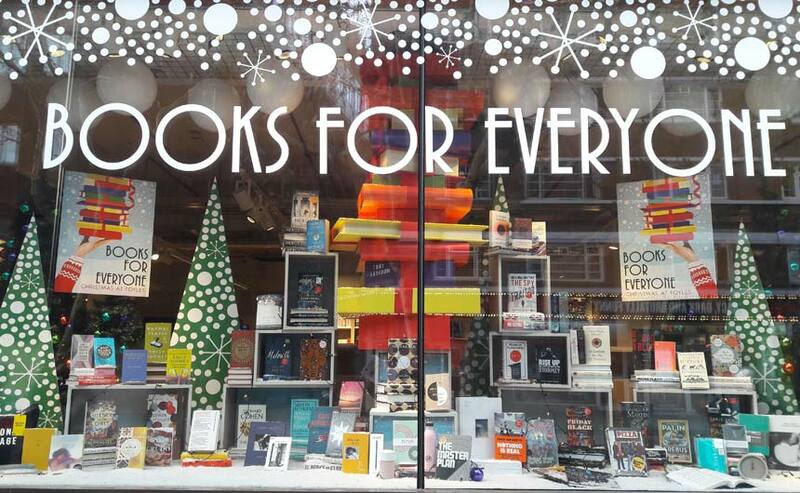 It also has a positive and inviting sales message across the windows: Books for Everyone. A reminder of Foyles’ central focus. Bookwise there were lots of reminders of how licensing and publishing are intertwined. Publishers are inventive when seeking out brands to develop books with – for example a range of MENSA branded books for puzzlers was selling alongside a GCHQ Puzzle book. Publishing is a form of licensing that isn’t always recognised as licensing. Publishers are also good at linking to and promoting books when they are on television – in turn production companies seek out content from publishers. A perfect example is the Claude book series. 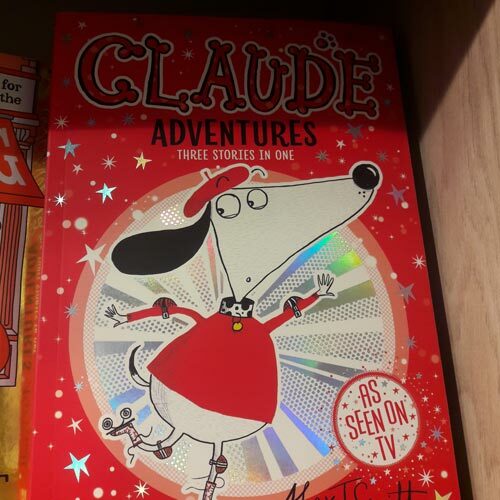 Claude is now the star of an animation series on Disney Junior and publisher Hachette has re-jacketed some of the books accordingly. It is also planning a number of TV tie-in books. Book retailers like Foyles are in tune with these developments and have made sure Claude books are in good supply in-store to tie in with the television run. This kind of joined up sell in and selling was evident through the store and across different genres, but there is scope to sharpen up this kind of partnership even further. As you might expect annuals are also featured in Foyles. 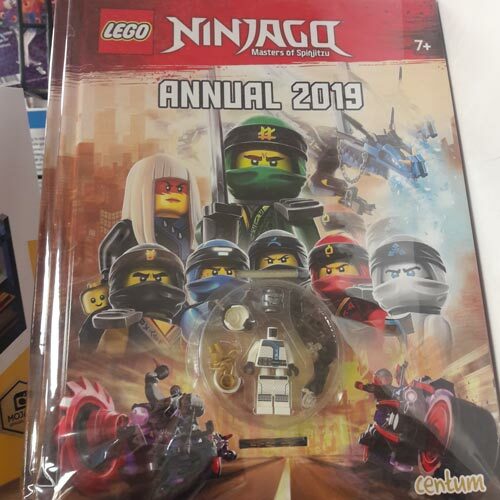 One standout was the LEGO Ninjago Annual from Centum. It was prominently displayed within dedicated LEGO space in-store. Foyles is good at grouping products by theme, with Harry Potter being another property with dedicated space bringing together different categories of product. Another category that Foyles is supporting are board games. There was a dedicated board game table – I didn’t spot any licensed titles but it was a timely reminder of the rising popularity of board games and that they are great gifts. Of course, Christmas is a great time to get families and friends playing board games so a natural product to dedicate space to. I expect to see more crossover from and into board games within the licensing world. One area I think is a natural is the use of board game brands by publishers to create book series, novelty books and gift books. If you haven’t visited it is worth taking a stroll down Charing Cross Road and visiting Foyles. As I would say to Robert it is a great example of contemporary retailing and a shop that you can spend a lot of time in. But also be reassured you can spend a lot of money in there as well. I did buy quite a few books and non-book items on my visit. Finally, in my quest to be ready should Mr Elms call I also took myself on a Waterloo walking tour and took in the Leake Street ‘street art’ tunnel. 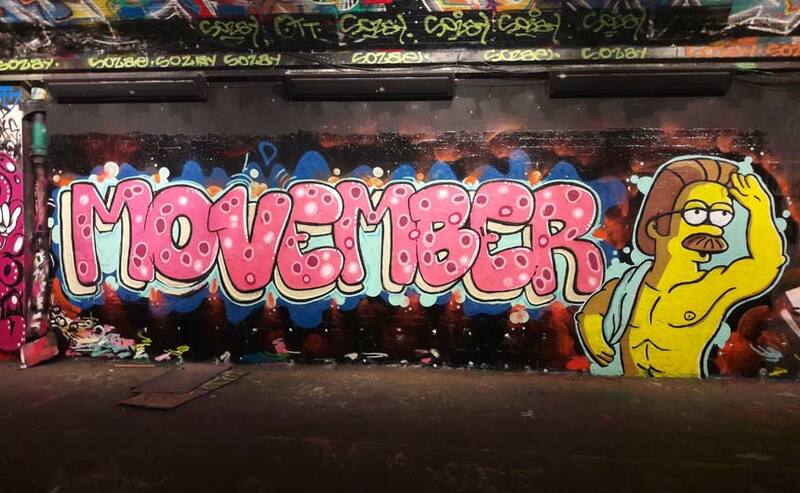 I was rewarded with a great piece of The Simpsons-inspired street art celebrating Movember. I expect it will be painted over soon but it is another reminder of how licensing can help promote good causes.